There is an interview in the Indie this morning with lawyer David Edward in which he lambastes the 'invincible ignorance' of those who think the UK can escape the jurisdiction of the ECJ. Edward sat as an ECJ judge, but perhaps not a very balanced one as his argument here is utterly distorted and deeply misleading. "You can escape the jurisdiction of the ECJ, but you have got to comply with EU standards if you are going to export into the EU. And who decides what these standards are ultimately if there’s a problem? It’s the ECJ." Edward is quoted as saying. Uhm, yes. But EU exporters wishing to sell to the UK - by far the greater value of goods - must in turn comply with UK standards. And who will decide what those standards are if ultimately there's a problem? The UK Supreme Court and English / Scottish appeal courts. Never have I heard any Brexiteer suggest that British courts should exercise Extra Territorial Jurisdiction to decide what product standards within the EU should be. It's a nonsense. Edward is refuting a claim that no-one has made. His argument is specious and fallacious; in exercising our own jurisdiction over trade, competition and commercial law for all actions within UK territorial boundaries of course we escape ECJ jurisdiction. I weep for the 'invincible ignorance' of those like Edward in a state of denial over this fundamental reality. On our land, in our skies and upon our seas out to the 200 mile economic limit, British courts will exercise sole jurisdiction. 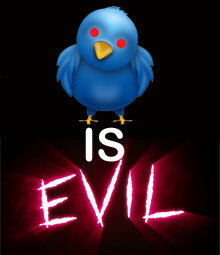 British laws, British standards, British judgements and British penalties will prevail. And of course EU citizens will continue to enjoy access to UK courts to resolve matters within British territorial jurisdiction just as UK citizens will continue to enjoy access to the ECJ to resolve matters within EU jurisdiction. If a Polish single mum feels she is wrongly being denied a British welfare benefit, she has exactly the same recourse to our legal system as any Brit. And likewise a Brit in Europe to the ECJ. What exactly is the problem? It's a manufactured issue, promoted by those who wish to preserve such bonds of slavery to Euro Federalism beyond Brexit. English common law never did fit well, if at all, with the Napoleonic codex approach of the mainland, yet it maintains itself as both a superior body of law and a more equitable legal jurisdiction than the 'political' fandangling of the ECJ. It is becoming transparently clear that Brexit is an economic battle between Britain and Germany. It is also becoming clear that EU membership is costing us way more than the headline contributions, before or after rebate. One of the EU's several Presidents, Herr Tirana, repeated yesterday in effect that they're so desperate for our wealth that they encourage voters to overturn Mrs May so we may repent and continue to bleed our nation's life blood for the vampire squid. Germany knows the lead that a fractional advantage in GDP growth can produce over a decade. Yep, one nation grows at 1.1% and another at 1.6% and it doesn't sound much until you look at the lead after 20 years - 13% for these figures. That's been Germany's game plan since the 1970s - free riding NATO, skewing the rules, manipulating EU budgets and quiet economic sabotage to ensure their GDP growth is greater than ours. And now they're furious, they're incandescent with rage that they've been found out and that we're leaving. By doing so we ensure that our GDP takes the lead - not only will Trump make them pay an extra 1% of GDP to NATO, but they must pay 25% of the EU's budget from 2019 or see it unravel. Hence the bullying, the threats and the attempted intimidation; we must pay €60bn, we must submit to the German European Court until 2030, we must follow their instructions. It's becoming clear that we won't do any of it, that we will walk away. So be it. Alone and ahead. There had to be casualties of course. Few regret the abandonment of his political career by Osborne; the Commons will be infinitely improved by his absence, and the housebuilders' brochure that is the Evening Standard, an organ that once was a newspaper, will no doubt benefit from his family wallpaper and soft furnishings expertise. Gisela Stuart will be a real loss. The Labour Leave campaign leader was a boon to the cause before the referendum, and did much to counter the swivel-eyed loon barb thrown at we outers. She is transparently straightforward and shines as, well, just nice. Bob Marshall-Andrews is a Medway fixture and I wish him well in his move to the Lib-Dems, despite my wanting to see that party destroyed in Parliament. I can't imagine Medway without Bob; a rebel and maverick who used to publicly but pointlessly prompt the Labour leadership to give him a job. Rochester is a bit twee and has pretentions, but remains more Tesco than Waitrose, sandwiched between Emily Thornbury's white van Strood and Borstal. Chatham is as rough as a badger's arse, the home of pale, scabrous and violent Chavs, and Gillingham houses aspirational but just-coping NHS workers. Bob has done a great job there, transcending party. I wish him well. Well, she's done it. And she's got the £ nudging €1.20, which is nice. And the global corporates are squeezing out a little high pressure flatus, which is also reassuring. Farron, Mandlebum, the Remoaners, the BBC, the EU and the Guardian are incandescent with rage, which is always worthwhile. 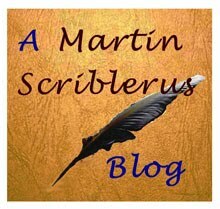 All in all, it seems like the right thing to do. The main complaint of all those so upset by Mrs May's calling an election seems to be democracy. They are objecting to Britain's voters having a definitive say, rather than claiming to speak for us themselves. Oh yes. And that chap Grayling, which I always thought was a fish. If this doesn't trip him into gibbering insanity I don't know what will. So good all round, really. 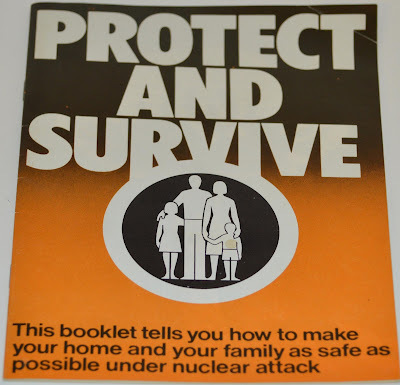 Isn't it time we re-issued 'Protect and Survive'? 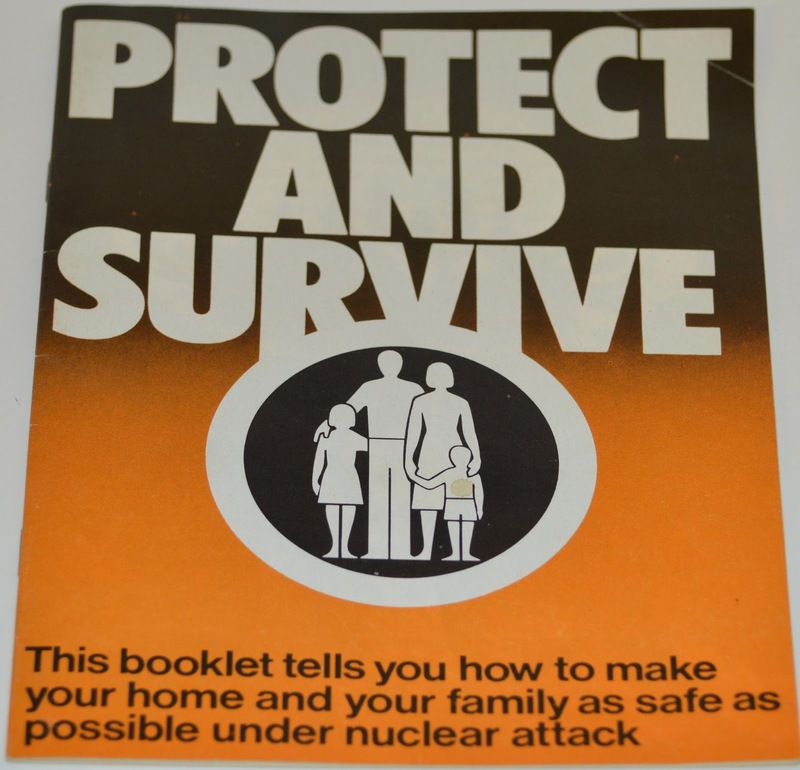 There will be many homes in Britain that still have the last edition of the Home Guide to Nuclear War, issued by the government as Protect and Survive. Maybe in a telephone drawer somewhere, along with the radiator bleed key and a 1976 warranty card for the doorbell. However, whole new generations will be unaware of the simple preparations they must make if we are faced with nuclear Armageddon. Technology has also moved on, so an updated edition of this friendly guide to mass extinction may be worthwhile. It may be useful to remind the younger ones that iPhones are unlikely to work after an intense EM pulse, that a couple of tins of energy drink won't last long and that Facebook is unlikely to be widely available with which to share nuclear experiences. Ditto Instagram. It's also unwise to rely on take-away delivery services for food after the bomb falls, however impervious Mr Wu seems to Alpha particles. And as members of the family die and the bodies must be dealt with, Yell will not be the best source of home service providers. It's about time we scared the youngsters.